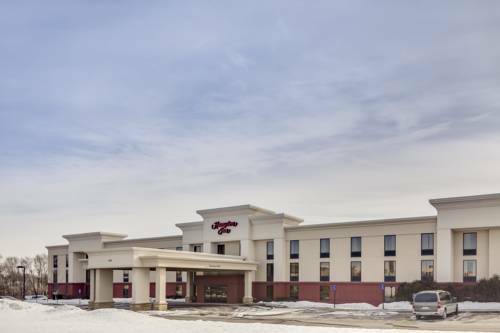 The Hampton Inn Dubuque IA hotel is a brand new 97 room property that is conveniently located directly across the street from the Kennedy Mall in Dubuque Iowa. The University of Dubuque Clarke College and Loras College are just a few miles from the hotel. Diamond Jo Casino Greyhound Park and Casino Mississippi River Museum and Botanical Gardens the Bluff Street Antique Mall and offices for John Deere are all just a short drive from our Hampton Inn hotel. Start your day off right with our complimentary deluxe continental breakfast. Whether traveling to Iowa on business or pleasure Dubuque Hampton Inn guests find an array of amenities sure to please every type of traveler. We love having you here in Iowa at the Hampton Inn Dubuque hotel. A 35-minute guided tour through a scary cavern with low ceilings -- in a boat. Opened in 1955.